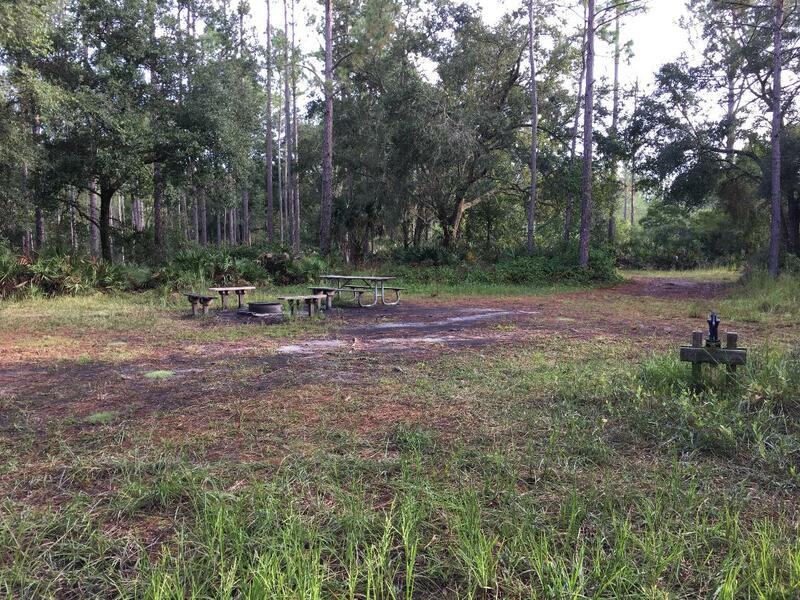 Located in a mesic hammock near state road 415, this site is equipped with a fire ring with grill attachment surrounded by 4 benches, 1 picnic table, and potable water pitcher pump. Plenty of tent space underneath the tall pines. 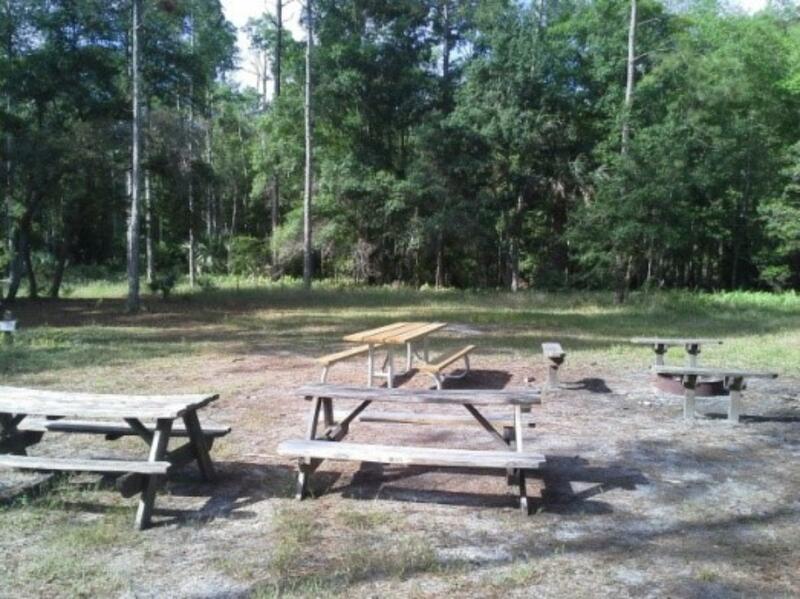 Located in a mesic hammock near state road 415, this site is equipped with a fire ring with grill attachment surrounded by 4 benches, 1 picnic table, and potable water pitcher pump. Plenty of tent space underneath the tall pines. Vehicular access is permitted with reservation. There is not a restroom facility at this campsite, so please come prepared. 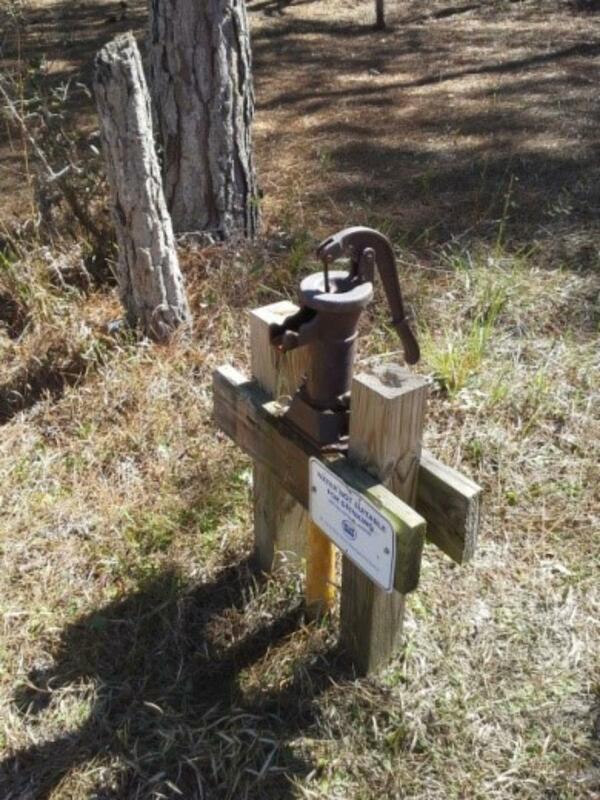 The address to the residence that is on the property is 1275 SR 415, Osteen, FL. You may drive a limited number of vehicles into the campsite, which is accessed through a gate on the South fence of the parking area. The parking area is located down a dirt drive on the East side of CR 415, approximately 8 miles South of SR 44, or approximately 4 miles N of Osteen. Check in is no earlier than 1 PM and you must leave no later than 11 AM. This is a wilderness area, with few amenities and we do not have staff to check visitors in nor clean up after each user group. You should bring plenty of drinking water, trash bags, bug spray & fire wood with you. You must take all trash with you, leave the campsite clean & extinguish the campfire when you leave. Please use the Leave No Trace Principles when visiting District lands. For more information, go to: https://lnt.org/learn/7-principles.